New research outlines the strategic benefits of employing men or women in decision-making roles. Most HR people will have diversity on their radar and be aware of the need for a workforce that mirrors customer demographics. In 2012 Asda recognized it had an imbalance 80% of its customers were women but only 21% of senior managers were female. The company thought it important that key decision makers could relate to their customer demographic and so launched initiatives to redress the balance, including women-only leadership training. Laudable though this may be, one has to wonder about how beneficial it is. If the company envisaged specific benefits arising from employing women rather than men in senior positions, then presumably the men would need to know about this too. Until recently this information has not been available, but my book Why men like straight lines and women like polka dots clearly sets out the territory. Now men and women can see the strategic benefits of employing men or women into decision-making roles, giving HR a huge role in the area of marketing diversity. The starting point is understanding that men and women literally do not see the world in the same way. Differences in visuo-spatial skills are, after height, the most robust of all the differences between sexes. Evidence points to men having better targeting and rotation skills (linked to their eyes being 5mm further apart than women’s) and a higher incidence of colour-blindness (8% in men and 0.5% in women). A proportion of women have a fourth colour pigment; giving access to hundreds of millions more colours than those with three-colour vision. There is also evidence of women having better object-location memory and greater field dependence, producing a greater tendency to see things in context. Many psychologists argue that these differences developed in response to the hunter-gatherer division of labour that operated for 99% of human history – his visual skills served him well while hunting, since 3D vision, field independence and less acute color vision helps focus on prey against a linear, distant horizon (colour blindness actually helps see through camouflage). Her more acute color vision would have served her well in the tasks of gathering food and observing mood changes in the infants and adults she cared for. These hunter/gatherer skills have left their legacy in how we create and respond to design and marketing. Men produce and like linear shapes, little color (and certain colors too) and little detail, while women produce and like rounded shapes, bright colors and lots of detail. A recent five-country study by myself and Gabor Horvath of South Wales University showed a statistically high tendency for men and women to prefer designs produced by their own gender. The key is demographics. Most of the people shopping are women they make 83% of all consumer purchases – and yet most of the people designing adverts and products are men. Since notions of what is appealing are relative, organizations have a complex journey in configuring themselves to deliver design and marketing that is optimized for the purchaser. Many large retailers in the grocery business are seeing declining sales, and addressing the skewed demographics between purchaser and marketing teams would make business sense. If we want gatherers to spend more in the high street, maybe hunters have to allow more gatherers into the creative and decision-making functions. This presents enormous challenges to HR in terms of leading discussions on success criteria, and reflecting an external customer perspective in internal decisions and appointments. It’s not easy, but it’s a vital strategic role for HR as we move into 2015. 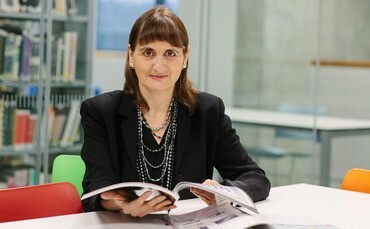 Gloria Moss is professor of marketing and management at Buckinghamshire New University and visiting professor at ESG Management School in Paris. She is the author of why men like straight lines and women like polka dots.